Artifacts are hybrids, both natural and cultural. They are also an essential component in the process of human evolution. In recent years, a wide range of disciplines, including cognitive science, sociology, art history, and anthropology, have all grappled with the nature of artifacts, leading to the emergence of a renewed interdisciplinary focus on material culture. 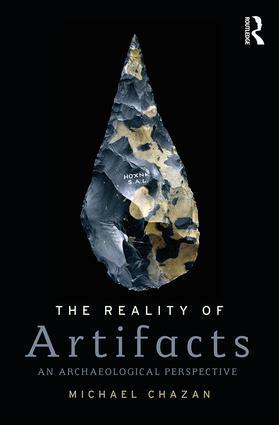 The Reality of Artifacts: An Archaeological Perspective develops an argument for the artifact as a status conferred by human engagement with material. On this basis, artifacts are considered first in terms of their relationship to concepts and cognitive functions, and then to the physical body and sense of self. The book builds on and incorporates the latest developments in archaeological research, particularly from the archaeology of human evolution, and integrates this wealth of new archaeological data with new research in fields such as cognitive science, haptics, and material culture studies. Making the latest research available for the general reader interested in material culture, while also providing archaeologists with new theoretical perspectives built on a synthesis of interdisciplinary research, this book is suitable for courses taught at both graduate and undergraduate students, and is broadly accessible. Michael Chazan is a Professor in the Department of Anthropology at the University of Toronto. He co-directs the Wonderwerk Cave Research Project with fieldwork at Wonderwerk Cave and the sites of the Kathu Complex, both located in the Northern Cape province of South Africa.